Walmart Hires Its First Introverted Greeter | Come on in! 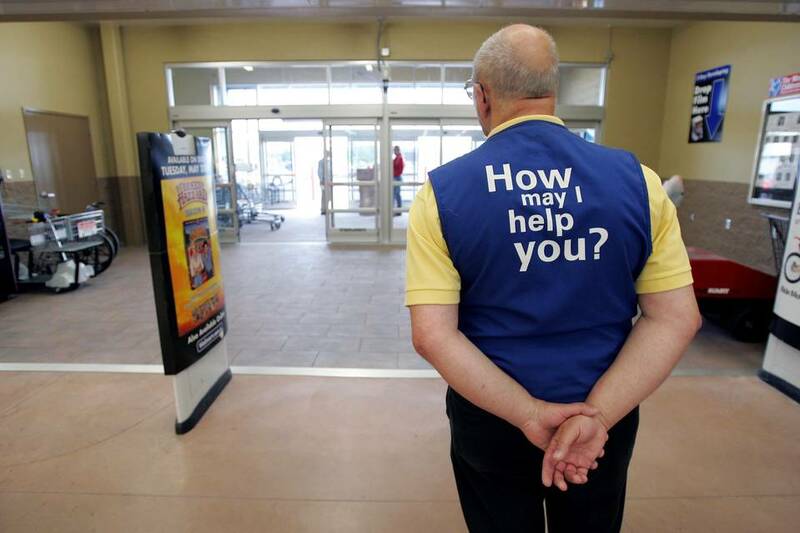 Walmart Hires Its First Introverted Greeter – Come on in! Walmart has hired its first self-described introvert as a greeter. Walter Ronko, a 68-year-old retired filing clerk began work recently at a store in Tranquilo, Arizona. Walter doesn’t know how long he’ll last as a greeter, but whenever he feels he can’t endure another shopper asking for directions to Guns and Ammunition, he closes his eyes, relaxes, and imagines he’s on a tropical island tied naked to a coconut tree while Janice flogs him with an Australian stock whip. Imagination is always an introvert’s best friend.